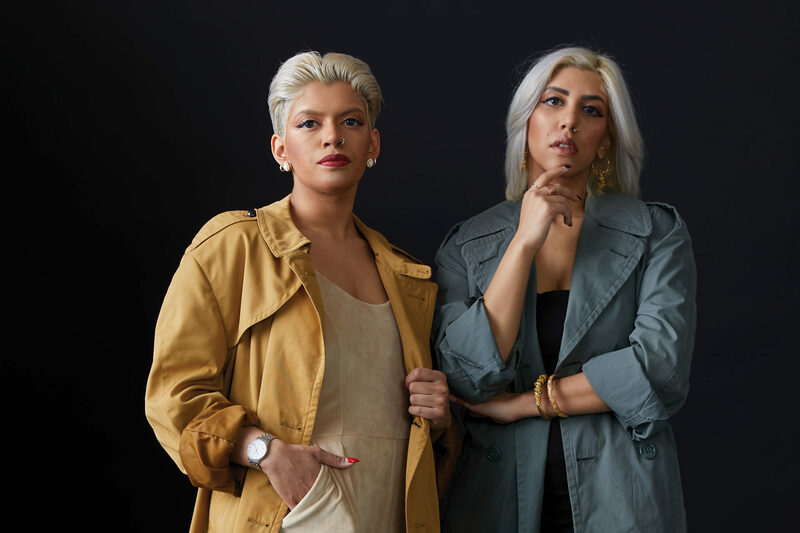 Sisters and hip-hop artists Contra and Eboshi of Cartel Madras have made a splash with not only their music but also their personal style, which has proven so popular, they’ve had several articles of clothing stolen at gigs and parties. The sisters describe their look as bold and eccentric, though they also stand out from each other in certain ways. Contra describes her style as more feminine and Eboshi as more experimental and androgynous. 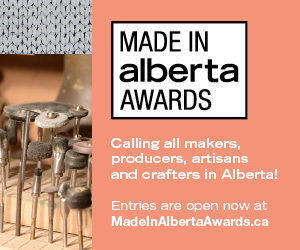 “It’s been a really interesting identity-building exercise to figure out how can we take how we feel about being Indian, about being immigrants and growing up in Canada, and then bring that forward visually. We are telling a story with how we rap, but we also try to tell a story with how we look,” says Contra. 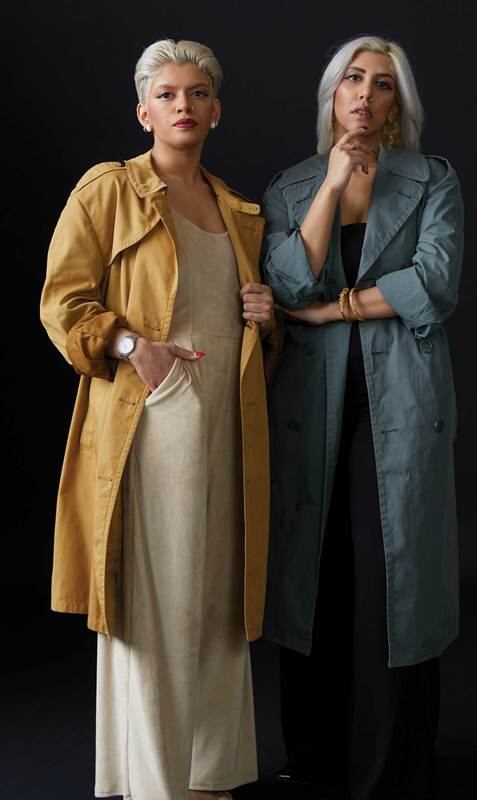 On Eboshi (left) vintage trench; jumpsuit, personal collection; jewellery, personal collection; watch by Longines. On Contra (right) vintage trench from Japan; jumpsuit from Oak + Fort; jewellery from India from personal collection; watch by Nixon. Photography by Colin Way; self-styled by honourees with consultation by Styleista; Makeup by Joanne Black; hair by Sue Thompson. Hoodie, personal collection; jewellery all from personal collection; watch by Longines. Photography by Colin Way; self-styled by honourees with consultation by Styleista; Makeup by Joanne Black; hair by Sue Thompson. 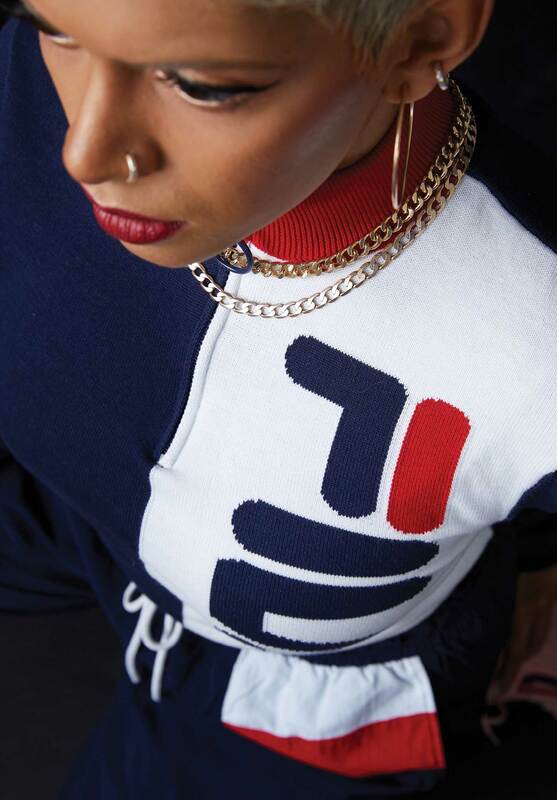 Top and pants by Fila; jewellery from personal collection. Photography by Colin Way; self-styled by honourees with consultation by Styleista; Makeup by Joanne Black; hair by Sue Thompson. 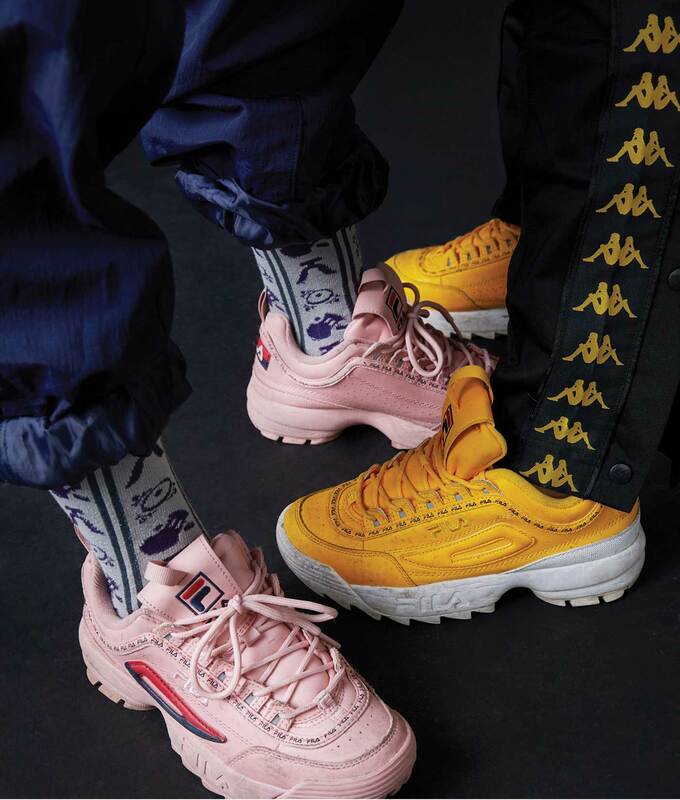 Pants by Fila and Kappa; shoes by Fila. Photography by Colin Way; self-styled by honourees with consultation by Styleista; Makeup by Joanne Black; hair by Sue Thompson.